1. In a large pot, heat the olive oil until simmering. Add the garlic and chiles and cook over high heat, stirring, until fragrant and the garlic is just starting to brown, 2 to 3 minutes. Add the clams and wine. Cover and steam until the clams just open, about 8 minutes. 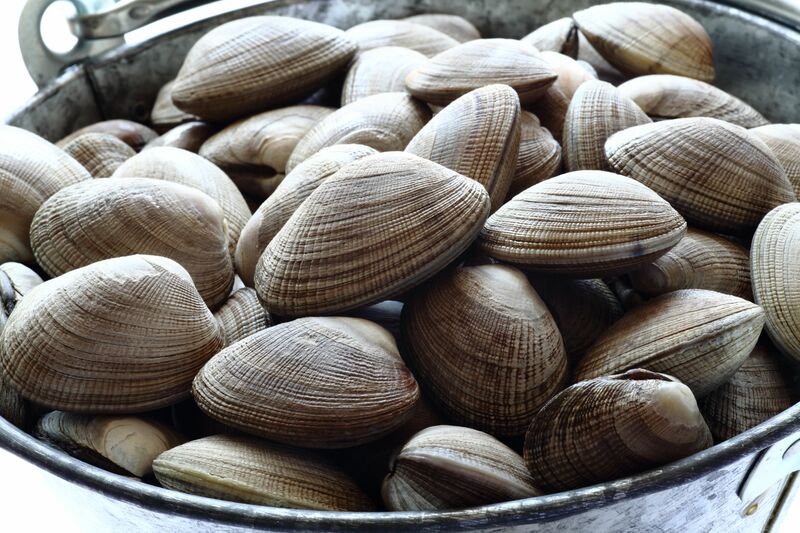 Using tongs or slotted spoon, transfer the clams to a baking sheet; discard any that don’t open. 2. Boil the cooking liquid over high heat until reduced by half, about 7 minutes. Stir in the minced cilantro and lemon juice, add the clams and season lightly with salt and white pepper; toss well. Transfer to a deep platter and serve with lemon wedges. Pair this with a DOMAINE DE LA PERRIÈRE SANCERRE 2017 and don't forget a baguette for the extra sauce! Bon appetit!